A wildly picaresque new novel from Jonas Jonasson, author of the internationally bestselling The 100-Year-Old Man Who Climbed Out the Window and Disappeared. In a tiny shack in the largest township in South Africa, Nombeko Mayeki is born. Put to work at five years old and orphaned at ten, she quickly learns that the world expects nothing more from her than to die young, be it from drugs, alcohol or just plain despair. But Nombeko has grander plans. She learns to read and write, and at just fifteen, using her cunning and fearlessness, she makes it out of Soweto with millions of smuggled diamonds in her possession. Then things take a turn for the worse . . .
Nombeko ends up the prisoner of an incompetent engineer in a research facility working on South Africa’s secret nuclear arsenal. Yet the unstoppable girl pulls off a daring escape to Sweden, where she meets twins named Holger One and Holger Two, who are carrying out a mission to bring down the Swedish monarchy . . . by any means necessary. 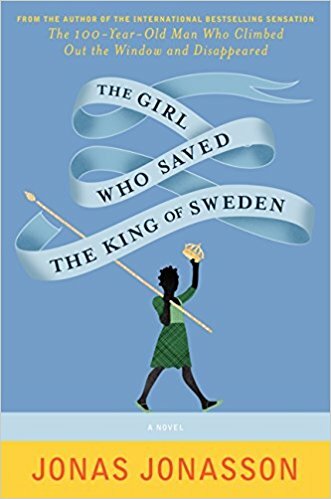 Nombeko’s life ends up hopelessly intertwined with the lives of the twins, and when the twins arrange to kidnap the Swedish king and prime minister, it is up to our unlikely heroine to save the day—and possibly the world. In this wild romp, Jonasson tackles issues ranging from the pervasiveness of racism to the dangers of absolute power while telling a charming and hilarious story along the way. 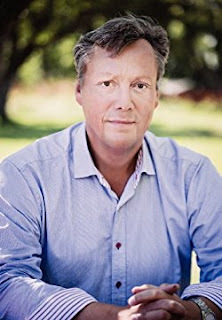 In the satirical voice that has earned him legions of fans the world over, Jonasson gives us another rollicking tale of how even the smallest of decisions can have sweeping—even global—consequences. This story took a minute to get to where it needed to be, but the journey to get there was fun and full of surprises. I love the characters, although some are distasteful creatures. Nombeko is awesome, and so is Holger Two. I love how smart Nombeko is. She is so clever that most people cannot keep up with her and whatever plot is in her mind. The love story between her and Holger Two is sweet too. The chemistry between them is unfathomable. I loved the whole adventure with the bomb though. That was the best part of the whole read. Seeing where it went, and where it would be going is what kept me glued. Yup, now I look forward to the other book I have on my kindle by Jonas Jonasson. I hope it's just as good! **Compensation may be earned from the links within. This copy was purchased. Opinions are owned from Freda's Voice. I plan to read this book, I enjoyed the 100 Year Old Man's romp. I've never heard of this book before, but it sounds interesting. Thanks for sharing your review! I haven't heard of this one, but have heard of the one about the 100 year old man. Will have to take a closer look!